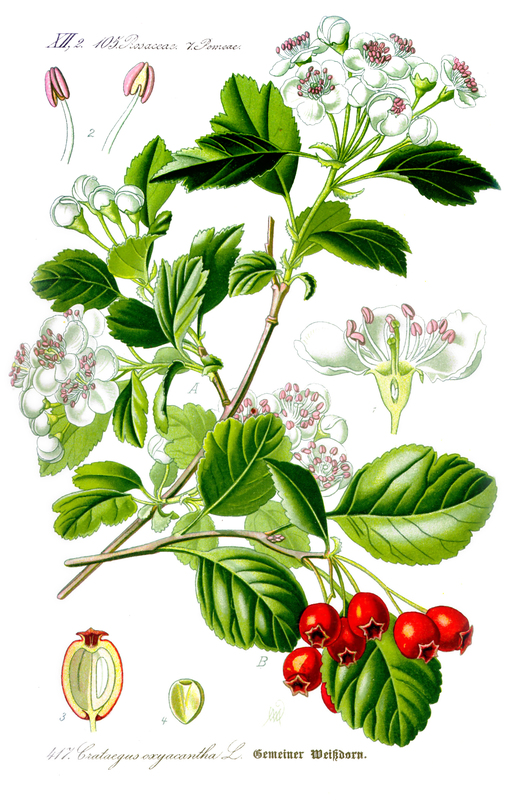 Crataegus laevigata is a shrubby tree, to 5 m tall, and as wide as tall, often multi-stemmed, branches spreading, bark dark, thorns to 2.5 cm long. Leaves alternate, to 5 cm long, 5 cm wide, deeply 3-5 lobed, lobe tips blunt to acute, margin irregularly toothed, base truncate to wedge-shaped, stalk to 1.5 cm long. Flowers white, 1.5 cm wide in clusters of 5-12, anthers red, 20; May. Fruit red, fleshy, rounded, 0.8-1.5 cm, 2 seeds (Rehder 1986). Habitat: Overgrown cultivated sites. Planted commonly several decades ago in parks and along highways. Possibly escaping from cultivation occasionally. Notes: Many cultivars and hybrids (see C. coccinea).